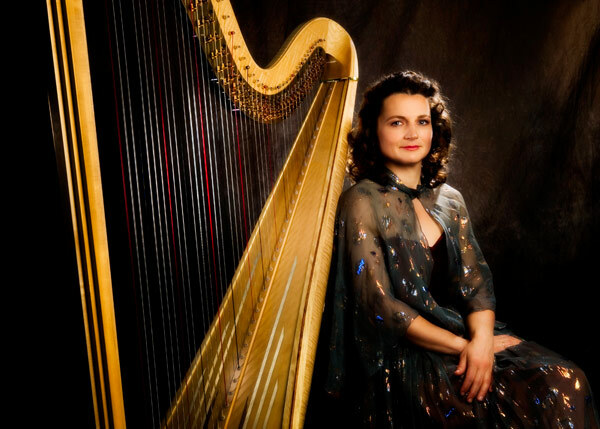 Alice Giles, Harpist and Head of Harp Area at the ANU, has received an Australian Antarctic Division Arts Fellowship to travel on the ‘Aurora’ to the Mawson Base in February and March 2011. Alice is the granddaughter of Dr Cecil T. Madigan, who was a member of the First Australasian Antarctic Expedition of 1911-1914. Alice will be the first Australian professional musician to perform in Antarctica, and her musical presentation at the Mawson Base will celebrate the Centenary of the First Australasian Antarctic Expedition. Alice will be accompanied on her journey by 2 harps, audio-visual recording equipment, and the music of past and present composers. During her trip to the Mawson Base Alice will perform and record music on her electro-acoustic harp, documenting works relating to Antarctica by Australian composers, and works that relate to the music connected with her grandfather’s experience in Antarctica. This will include new compositions especially written for the journey, as well as music that was heard at the Antarctic 100 years ago. Alice will also record the natural sounds of the Antarctic for composers and ANU students to use in compositional projects. There are a number of composers working with Alice and new compositions planned to align with this journey and Mawson Base presentation. A composition by Larry Sitsky, focusing on an outdoor performance on a lever harp made by Tasmanina harpmaker Andrew Thom. Writings about the Antarctic often refer to the silence and the wind. These elements, and the whole sonic environment of the Antarctic are unique to the continent, and the project will aim to communicate this natural soundscape to the imagination of a wider audience. Alice will be recording these sounds as they occur in the environment, as well as the ways in which these sonic spaces interact with her and her instrument.Images will be also be documented to accompany these sounds for future use by composers in their works. How will the harps cope with the long sea voyage, and temperatures in Antartica? How difficult will tuning be? How will the audio-visual equipment (including electro-acoustic equipment for the large harp) withstand the travel and environment? Will the harps be able to go outdoors to interact with the environment? How will Alice play with cold fingers (or gloves)! Finding out these answers will be a large part of Alice’s personal adventure in this extreme environment!